Emma has always been a good girl. Obedient daughter to an overprotective father, she dutifully moves from school to school, keeping her head down and generally Doing The Right Thing. However, when a move to Los Angeles coincides with Emma's increasing urge to perhaps step outside her comfort zone thing begin to change. Enter charismatic, crazy, impulsive Siobhan who drops into Emma's life with all the subtlety of a hand grenade, introducing her to a life of parties, drugs and booze. Add to the mix a few mean girls, an extremely laid back educational environment and a conflicted love interest and Emma the Good starts to slowly disappear. For a while it's all the fun of the fair but when Siobhan starts pushing Emma to make a series of pacts, Emma starts to wonder if it really is better to burn out than to fade away and if Siobhan will leave her to make the choice for herself? Emma is an interesting character with a strong narrative voice. She's likeable but hard to get a bead on, sometimes seeming entirely disconnected from everyday life even while living it to the full. She is also, vitally for the story, fairly malleable and when Siobhan sweeps into her life it is easy to see why Emma gets swept up in her wake. Yet it is clear from the opening chapter that Emma has just been waiting for a chance to take a risk, to misbehave. Finding herself entrapped in a web of lies, Emma makes bad decision after bad decision but this is often infuriating to read it is also understandable. As she slowly comes into her own, Emma emerges as a strong young woman who, while still learning, might have a chance of surviving the train wreck that is her relationship with Siobhan. Siobhan herself is a force of nature, a born rule-breaker who isn't afraid to say what she thinks and take what she wants. At first this is a heady and attractive mix and it is easy to see why Emma is drawn to her - in the same way that it's easy to see why moths are drawn to flames. As Siobhan's behaviour grows increasingly erratic she emerges as a whirlwind of narcissism, manipulation and chaos. It's hard to tell if she's deeply damaged or an actual sociopath, or both, but either way she is impossible to ignore. The dynamic between the two girls is electric, compelling and disturbing and when Emma's friend Dylan is drawn into the messiness it becomes even more so. Dylan has the whole smart/slacker/loner thing going on with practiced ease. He's charming yet evasive and clearly has more than a few family issues. He also has absolutely no idea what he really wants. The relationship that develops between him and the two girls is odd and often nonsensical yet hangs together pretty well in terms of the relationship that the girls themselves have. He and Emma can't seem to figure out if they are any good for each other and, to be honest, it's never clear but this is largely to do with the ever lurking Siobhan who's ongoing manipulations serve to muddy what one suspects would be otherwise fairly clear waters. Afterparty opens dramatically and the opening scene would keep readers turning pages even if the book wasn't so very well written. Ann Redisch Stampler adeptly builds the tension to almost unbearable levels, with revelations regarding Emma's past adding context to her behaviour in sad and eerie ways. She also cleverly uses Emma and Siobhan's parents to riff on the idea of nature and nurture and how-well-do-we-ever-know-our-children to great affect. As mentioned before, Emma's narrative voice is really good and the writing style as a whole is both pleasing and original. Saying that, Afterparty is a car crash of story. Readers will find themselves seeing where Emma's road is leading far ahead of Emma herself yet be unable to stop turning pages even as they mentally scream at the characters to just Look Around. If there is one flaw, it is the time spent on Dylan's brother - a totally unnecessary character in a book that is chock full of interest without him. But that really is a minor quibble - Afterparty is a compelling if disturbing look at the dangers of obsessive, all consuming friendship as entertaining as it is deeply unsettling. 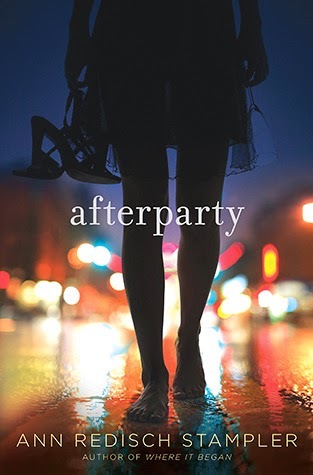 Fans of Abigail Haas's Dangerous Girls, Cat Clarke's Undone or James Dawson's Cruel Summer would be wise to give Afterparty a look - as would everyone else. This review was brought to you by Splendibird. Afterparty is available now. Thank you to the publisher and Edelweiss for providing us with a copy of this title to review.